#Trending is where we tackle a current, hot, wearable tech topic – picking out the winners and losers of a particular area of the ever-growing genre. 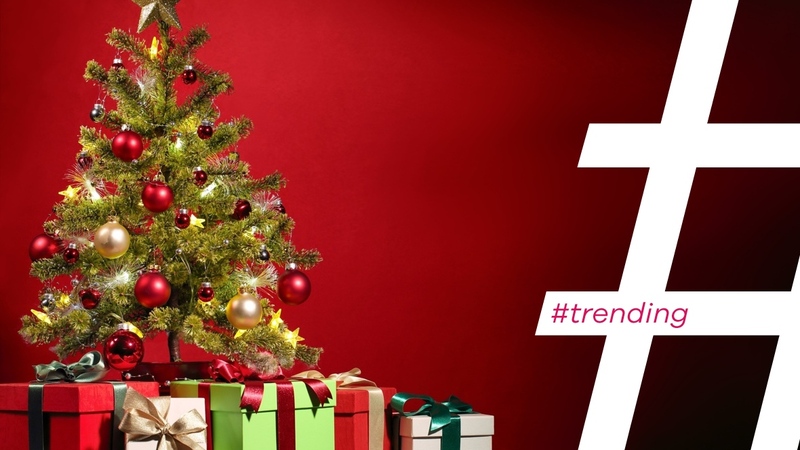 But with just a couple of days before Christmas we thought we'd expand to focus on a major Christmas trend: mainstream wearables. There's no getting away from the fact that the latest consumer tech revolution is wearable tech. And we're not just saying that because it's our raison d'être. Wearable tech is big business. Just check out the homepages and window displays of the major department stores and you'll see a whole host of the latest wearable devices being touted as the perfect gift this Holiday season. But don't believe the hype – well, not all of it, at least. Let us fill you in on the categories hitting the high notes this Christmas and the ones that should be dumped in the trash with the burnt chestnuts. Smartwatches and fitness trackers are what most people think of when you say "wearable tech". And it's the area that will see the biggest growth over the Holidays. Look around on the wrists of your fellow commuters when you head back into work in the new year and you'll see a lot more connected devices. Last month's Black Friday online shopping bonanza saw wearable tech experiencing a 932% increase at John Lewis, with Fitbit trackers up over 1,329% compared to 2014's big sale day. According to the IDC, wrist-based wearable device shipments will reach 76.1 million units by the end of the year, up 163.6% from the 28.9 million units shipped in 2014. By 2019, worldwide shipments will hit a mammoth 173.4 million units. There are devices for all shapes and sizes, and all budgets. Check out our smartwatch and fitness tracker buyers guides for more information. And, if you're thinking of buying someone a fitness tracker, make sure you read our advice on how to gift one with offending anyone. No-one wants to feel like a fatty at Christmas. We're so close we can almost smell the high-end virtual excitement. VR is going to be absolutely huge in 2016 with the likes of the HTC Vive, Oculus Rift and PlayStation VR all set to launch in the first few months of the year. But that doesn't mean this Christmas will be devoid of VR action around the tree. The boom in mobile VR has been staggering, with affordable headsets aplenty on sale for both Android and iOS smartphone users. CCS Insight predicts that the amount of AR and VR devices sold will rise from 2.5 million in 2015, to a staggering 24 million in 2018; with 90% of sales being devices powered by smartphones. Make sure you check out our guide to the top mobile VR apps to see what all the fuss is about. It'll be more fun than a game of charades on Christmas Day, believe us. We had high hopes for smart clothing in 2015. In fact, when we looked ahead at the end of 2014 we predicted the likes of Athos, Mbody and OMsignal would be the leading lights of a connected clothing revolution. What we got instead was a handful of interesting Kickstarter projects, some wacky design concepts and promises of bigger things to come from the likes of Google's Project Jacquard and Levi's. Back in 2014 a report by Gartner forecast that the smart garment sector would ship 26 million products in 2016, eclipsing both fitness trackers and sports watches. A more recent report from Juniper Research suggested that the fitness wearables sector would grow to $10 billion in 2020, up from $3.3 billion in 2015, but that growth would be "largely driven by the sales of wrist-based trackers" with just "hundreds of thousands of connected garments used by professional sports teams". Hundreds of thousands of thousands is hardly a drop in the ocean compared to the millions of Fitbits, Xiaomis, Apple Watches and the like.